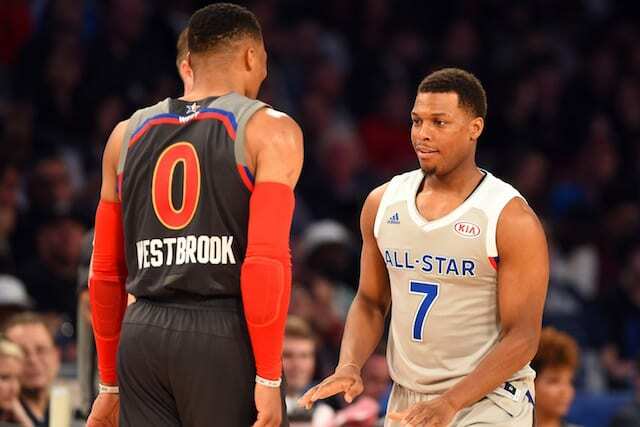 After a nine-game losing streak that threatened to completely ruin their season, the Los Angeles Lakers have begun figuring things out, winning six of their last eight games including the last two without rookie point guard Lonzo Ball. Standing in their way of a third-straight win are their old rival Boston Celtics. The team with the best record in the East has lost three straight games, but will be motivated to end that skid in Los Angeles. One of the biggest questions for the Lakers is who will be starting at point guard with Lonzo still out due to a sprained knee. Tyler Ennis has been getting the call, but hasn’t produced much in the role. Two-way player Alex Caruso has outplayed him over the last two wins while sixth man Jordan Clarkson has been the Lakers best player the last two contests, seemingly getting out of his slump. Whoever starts will need to be locked in against All-Star starter Kyrie Irving who dropped 40 points in his last game and is the catalyst for the Celtics’ offense. The Lakers will throw plenty of defenders his way, but it will have to be a team effort if they hope to contain him. Al Horford is the other key to the Celtics on both ends of the floor. He leads the team in assists, is outstanding from three-point range, and is the quarterback of their top rated defense. The good news for the Lakers on the injury front is that Kentavious Caldwell-Pope returns from a strained achilles. With he, Brandon Ingram, and Josh Hart on the perimeter, the Lakers have the necessary players to match up with the plethora of Celtics wings. Jayson Tatum, Jaylen Brown, Marcus Smart, and Terry Rozier are all dangerous and capable of big nights if the Lakers aren’t careful. 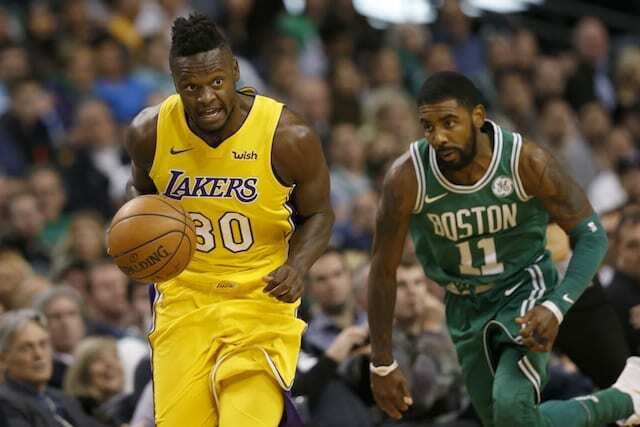 The Lakers will need Julius Randle to continue his strong play of late. The Celtics don’t have anyone who can match his combination of size and strength so they need him to be focused and active. Likewise, the Lakers sorely need Ingram to return to form. He has struggled since his coming back from injury and has lacked the aggression that made him such a difficult player to guard. He and Kyle Kuzma are the team’s best offensive players and they must show that if the Lakers plan on keeping up with Boston. Guard the 3-Point Line: Boston ranks in the top-10 in 3-pointers made and attempted, and barely outside of it in 3-point percentage. Tatum, Horford, Irving, and Brown are all lights-out from deep and the Lakers can’t afford to get into a shooting contest with this team. They must rotate well and close out on shooters all night. Aggressive Ingram: It’s clear that Ingram hasn’t quite been 100 percent with his ankle injury, but if you’re on the floor you have to produce. The Lakers need the Brandon Ingram that attacks the basket relentlessly and creates for himself and others. Their offense and defense are at their best when Ingram is leading the charge. The Others: Both teams go deep into their bench so the role players could very well decide the game. Clarkson, Nance, Hart, and Caruso vs. Morris, Baynes, Smart, and Rozier will be worth keeping an eye on all night. Key Reserves: Kyle Kuzma, Jordan Clarkson, Alex Caruso, Josh Hart, Larry Nance Jr.